Paper White Ceramic flat glass stones - New and Exclusive to Specialist Aggregates - These stones are incredible for interior and table decor, aquaria and contemporary decorative concrete finishes. 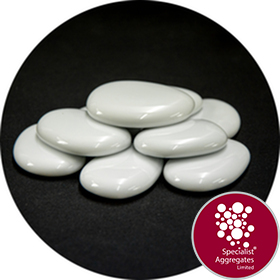 Opaque white ceramic glass stones, flattened to provide a reduced thickness and weight. Use to stunning effect in contemporary exterior and exterior landscaping, and for exposed cast stone, architectural and terrazzo finishes. When used for exposed polished flooring and worktops the quantity of stones required will depend on the desired aesthetics and mix design. Suitable for use in aquaria and for water features. 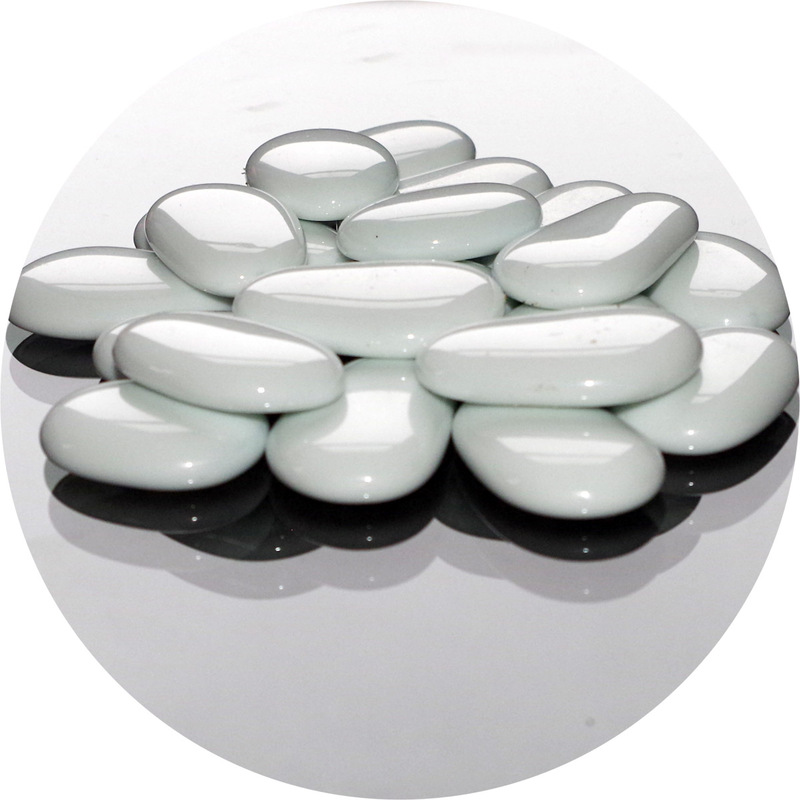 White ceramic glass stones are a manufactured product supplied in a dry condition, slight shade variations may occur. Product is responsibly manufactured from recycled glass by licensed and regulated glass manufacturers. Hobby and Craft Pack. CLICK TO VIEW. Architect Specify: Flat Paper White Ceramic Glass stones from Specialist Aggregates.